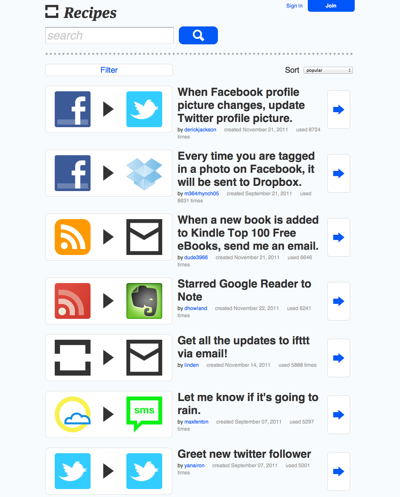 Ifttt (if this then that) is one of my favorite online tools. It’s a free automation tool for popular online tools and services. It can do a lot of stuff, below screenshot should give you some ideas on what it can do. These are some of the ready ‘recipes’ that you can use right away. But you can also do a lot of custom recipes of your own. If you like Google Alerts you will love Ifttt, because it can do a lot more than Google Alerts.